On Saturday 27th October, from 10 to 14h, UN-Habitat and Barcelona City Council will celebrate World Cities Day in the super block of Sant Antoni market, offering a variety of activities for the whole family. This year’s theme is Sustainability and Urban Resilience. It’s a call to action for us all to rethink how cities can become better places and protect the lives of people, without leaving anyone behind. 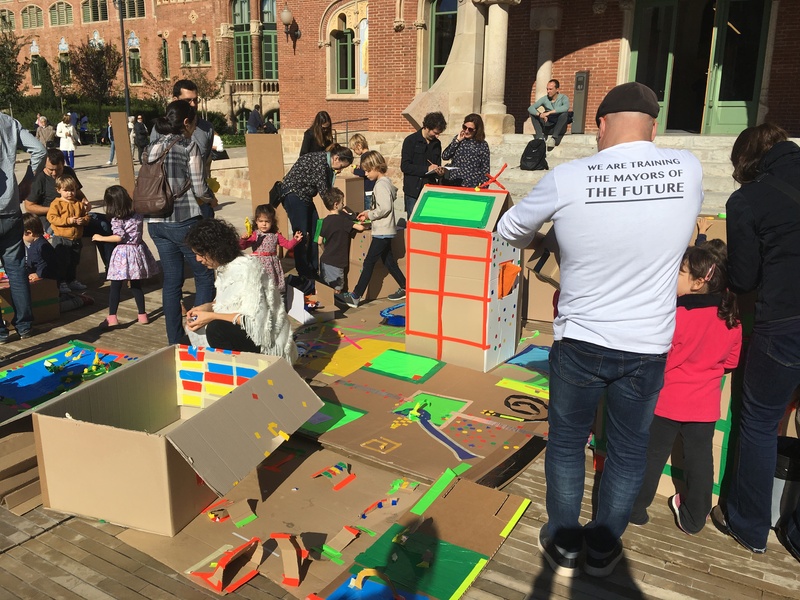 Girls and boys can participate in different workshops that visualise, through play, a more sustainable and resilient Barcelona. The celebration’s goal is to show citizens different actions that can make the city a different place, as well as raising awareness of the individual and collective changes that we can make. The different workshops will share actions that can be applied to daily life to create more inclusive, healthy, resilient, and sustainable cities, which is one of the United Nations’ 17 Sustainable Development Goals. Waste reduction: Zero waste in the city. Org: Campaign for the improvement of city cleaning in Barcelona. Barcelona City Council. The United Nations designated the 31st October as World Cities Day. Its objective is to increase the international community’s interest in global urbanisation, and encourage international cooperation in identifying opportunities and facing the challenges of urbanisation, as well as contributing to sustainable urban development across the world. UN-Habitat is the United Nations’ agency for promoting more sustainable cities and towns. Sant Pau Art Nouveau Site is the headquarters of two of UN-Habitat’s main programmes. On the one hand, it houses the permanent secretariat of the Global Water Operators’ Partnerships Alliance (GWOPA), and on the other, the Urban Resilience Programme, which works to evaluate, plan and act in response to the potential natural or man-made risks that cities face.